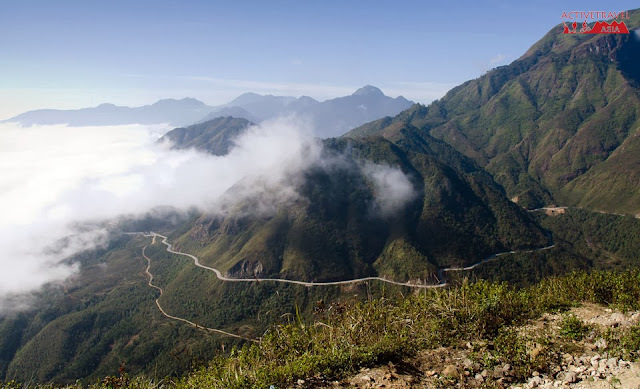 When coming to Vietnam, beside big cities’ well-known tourism destinations, many foreign travellers love spending their time chasing the wind on the road of the wildly mountainous areas by motorbike. We tell you How and Why! Motorbike is considered the best means of transportation for travelling mountainous areas due to its convenience and initiative. With a motorbike, one is free to go wherever he loves, despite all kinds of road’s condition. He can stop whenever he feels like to take photographs or relaxing, instead of depending on the driver or tour guide. Motorbike helps integrating people with nature and fresh air, and one will never be afraid of motion sickness. If choosing a car, people are likely to waste hours sleeping in passenger’s seat with air condition, not to mention the car sick caused by consecutive slopes and mountain passes. 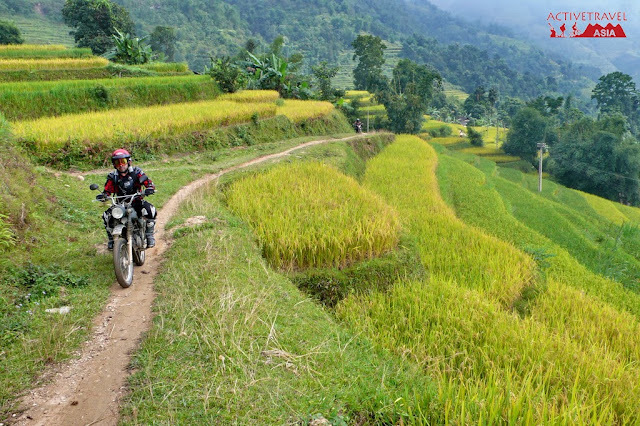 Riding on the motorbike means living on every single kilometer of your itinerary! Moreover, one can ride a motorbike in any kind of terrains, and it is much easier to repair in case of breaking down. Which kind of motorbike and when? 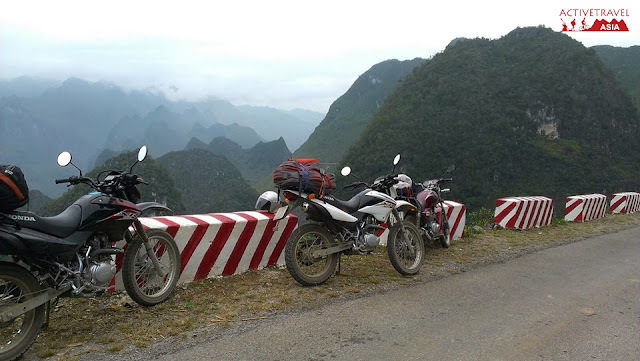 100 cc-or-more semi-automatic motorbikes are all suitable for roads in Northern Vietnam’s mountainous area. The main criteria for choosing motorbike are strong engine, gasoline-saving and flexible packing space. Weather is one of the most essential issues regarding planning for motorbike trip. The best time for exploring those mighty areas is from late September to the beginning of December or after Tet Nguyen Dan, when there is almost no rain and the temperature is cool. The spring’s rain and summer’s heat in high region somehow are hazardous for health as well as damaging to the road’s quality. There are indispensable things that one has to bring whenever travelling to remote areas such as specialized clothes and shoes, personal stuff, map, contact information and medical bags. However, a motorbike trip requires more than that. One will have to be well-prepared with a protective helmet and a motorcycle repair tool kit, and of course, certain skills of mending engine. An extra spark-plug and motorbike’s key are always in need. Remember to maintain the whole motorbike before setting off, change the oil and check its tyres, brakes, mirrors, horn and light. Fill up your motorbike with gasoline and know the location of gasoline station! If possible, travelling in groups of two or three motorbikes with one experienced leader is advisable. All members of the group are required to have detailed itinerary to get rid the risk of getting lost. People should not ride parallel to each other and talk while controlling the motorbike, thus, stop the bike if feeling a need for a conversation. Pay attention to the bend and ones driving contrariwise and do not drive into other lane. Sometimes, there may be animals like buffaloes, cows, dogs or even pigs crossing the road, so one should decrease the speed and avoid making them panic. At night or in rain weather, when the vision is limited, travellers had better pause the journey for resting and safety reasons. Do not ride when you feel tired or sleepy. Do not ride after drinking alcohol. Avoid riding too fast or stop without noticing. Observe carefully and pay attention to road signs. Be extremely careful when crossing the stream; be sure about the depth of the water to have the best arrangement. Respect the ethnic minority people and their distinctive culture. Protect the environment and always remember: Safe is of primary important. 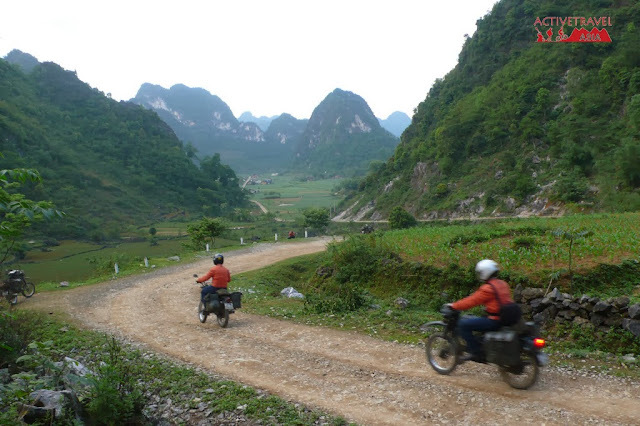 ACTIVETRAVEL ASIA would like to recommend Motorcycling adventure in Northern Vietnam tour.The mountainous area of Northern Vietnam has long been famous for its beautiful scenery and great diversity of ethnic minorities. With our adventure motorcycling trip you will make a big loop to experience all the bests that area can offer. Starting in Hanoi you will explore Northwest before jumping into Northeast, back to Hanoi after a day relaxing in Ba Be Lake. The perfect itinerary and the support crew ensure you get the most out of the trip in terms of comfort, enjoyment and adventure. Along the way we encounter dramatic landscapes and sweeping panoramas as the rural population goes about its business. Highlights include the terraced valleys of Sapa, beautiful Ban Gioc Waterfall and many different colorful minority groups.